Since founding his firm in 2005, Christopher Kennedy has emerged as one of the nation's freshest voices in home furnishings and interior design. 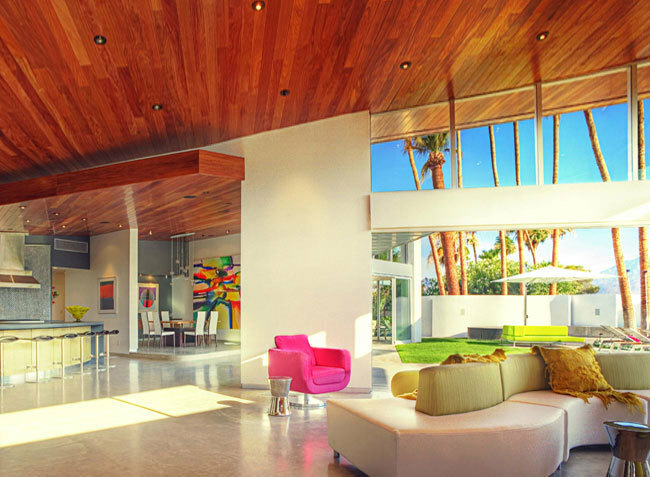 His name and products are quickly becoming synonymous with modern luxury and vibrant California glamour. Christopher's work and products have captured the attention of such leading publications as Architectural Digest, Dwell Magazine, Elle Decor, Luxe Magazine, and The Los Angeles Times. His success can be attributed to his innate ability to transform his clients' dreams into reality. Says Christopher, "I ask my clients to conjure up three words to describe how they want their space to feel, and from that I begin to form a vision of what their home should look like. Together, we refine that vision into a space that feels like home." With a fresh and discerning eye, Christopher combines vintage and contemporary sensibilities to create spaces that are layered, livable, and inviting. Neither trapped by tradition nor tied to trends, a Christopher Kennedy interior reflects a fine balance of design ideology, effortless function, and personal taste. Christopher holds Bachelor of Architecture and MBA degrees from Drury University. Born in San Francisco and raised on California's Central Coast, he brings a synthesis of big-city style and relaxed resort living to his work. Easy elegance and casual sophistication are hallmarks of Christopher's style.